The Rockefeller Center Christmas tree is lit which mean it’s officially the beginning of holiday season! Parties every weekend and Champagne in hand is always what rings in the holiday season and New Year! And of course, nothing is worse than when you are at a holiday party and your glass of bubbly goes FLAT. So why not try this! 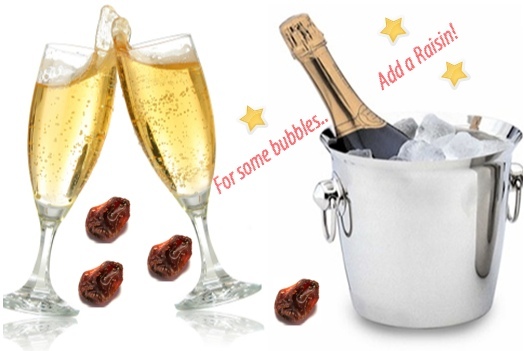 Slip a raisin into your glass and watch the bubbles unfold!